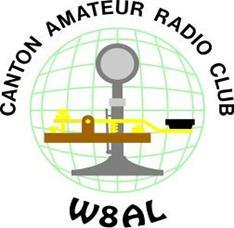 Membership | W8AL - Canton Amateur Radio Club, Inc.
Any person of good character, having a bona-fide interest in Amateur Radio, is eligible for membership in the Canton Amateur Radio Club. Dues are currently $20 per year, and are due by December 31st of each year. If you wish to join or renew, please fill out the membership application and return it to the current club secretary. This can be done in person at a club meeting or other event, or by mailing it to the club P.O. box.